Do you have problems that are beneath the surface of your home? LTK can help keep your crawl space problem free and protect your home investment. 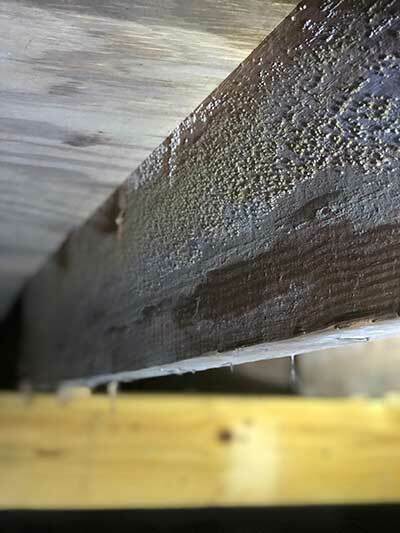 At LTK, we provide a solution for high moisture, fungus and mold, while killing any current activity to prevent any future growth or infestation. Let us do the dirty work of cleaning out your crawl space from debris that has fallen or collected from the outside elements. Moisture can cause major damage to the structure of your home making it unstable and unsafe. We can help prevent moisture from infiltrating your structure by installing moisture barrier or crawl space liner. To further optimize the control, foundation vents or a crawl space access door can also be recommended and installed by our technicians. If your crawl space has fallen victim to changing climate your structure might have fungus and/or mold growing. This can eat away at beams and make your home no longer structurally sound. At LTK we treat infected fungus and mold areas to kill the current cultures and stop the growth of new spores. Let us fix your moisture issues by calling us at 1-833-243-2375 today!